The school store is a convenient place to find what you’re looking for! From school supplies, to apparel, to other miscellaneous items, you can find it all here! Take a look at this page for important information about the school store. We hope to see you soon! 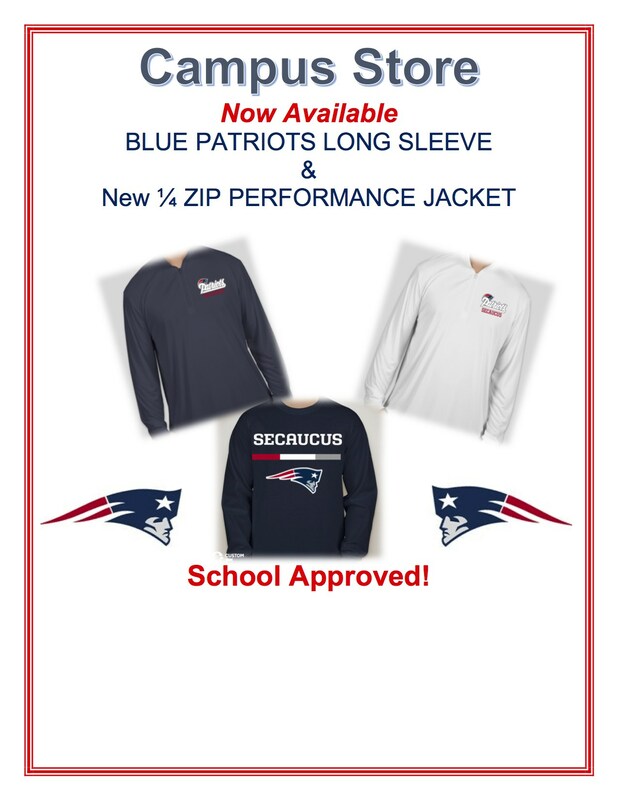 *New Patriots Apparel Available * $30.00 for Quarter Zip Jackets and $20.00 for Sweaters. For any questions, concerns, or additional information, please contact Ms. Alvarez by email at aalvarez@sboe.org. Thank you!